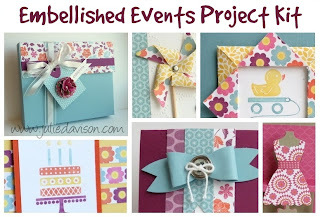 Learn how to use Designer Paper on to projects for all occasions with the Embellished Events Project Kit! Buy it Now for only $19.95 plus shipping or Get it FREE when you order $40 or more from my Online Stampin' Up! Store between April 24 through May 4 (while I am soaking up the sun on the Stampin' Up! Incentive Trip in Fiji!). Please use Hostess Code 3RMVUF4J when you check out and I will automatically send your free project kit in mid-May with a copy of the brand new 2013-2014 Annual Catalog! 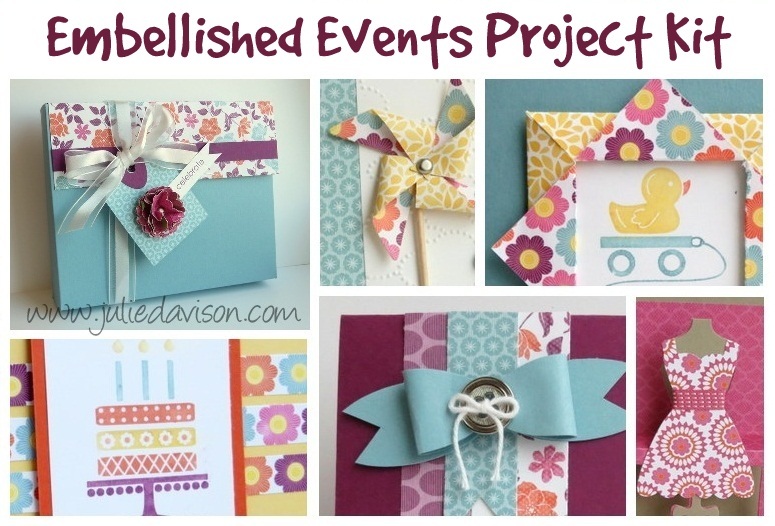 Projects in this kit feature the Embellished Events stamp set, however, you can easily substitute the images for others from your collection. Up to 60% Off: Retiring Stamps & Accessories. EXTRA $30 when you JOIN or HOST with Stampin' Up!